Every country has its own distinctive flavours that will open your mind, astound your sense of smell, and tantalise your taste buds, and Fiji is absolutely no exception. If you’re keen to experience new meals in this tropical paradise, but aren’t quite sure where to start, our Fiji Holiday Experts are here to help! The team have tried all the traditional Fijian delights and put all their favourites into this blog post for you. 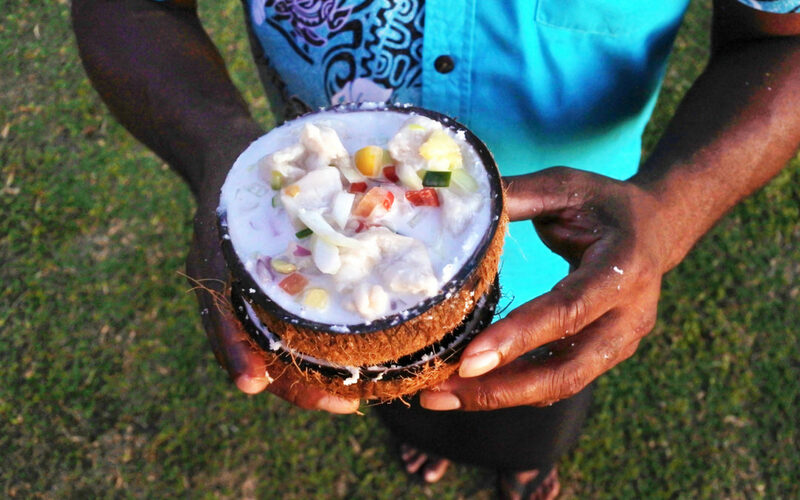 It’s time to branch out and immerse yourself in the wonderful food of Fiji! 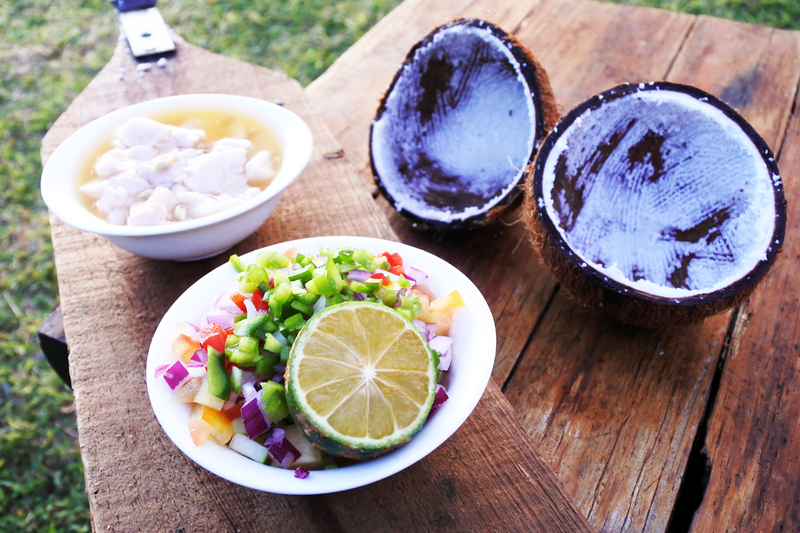 The most important Fijian dish you’ll want to tick off your to-eat list is kokoda. This national delicacy features the mahi mahi, a large, brilliantly coloured ocean fish found in the area. Served raw, the mahi mahi is marinated in a delicious concoction of coconut cream, lime, onions, and tomatoes that will have your taste buds writhing in delight! As well as being the centrepiece of this famous Fijian meal, fish are an integral and delicious part of every Fijian’s diet. By the time you leave this island, you will definitely have had your fill of Omega 3! Including coconuts as a local food you must try on a beautiful tropical island might seem a little bit cliché, but this classic fruit is a winner. Besides, a coconut will always taste that bit tastier when you’ve watched it being picked off a palm tree and cracked open by a local! 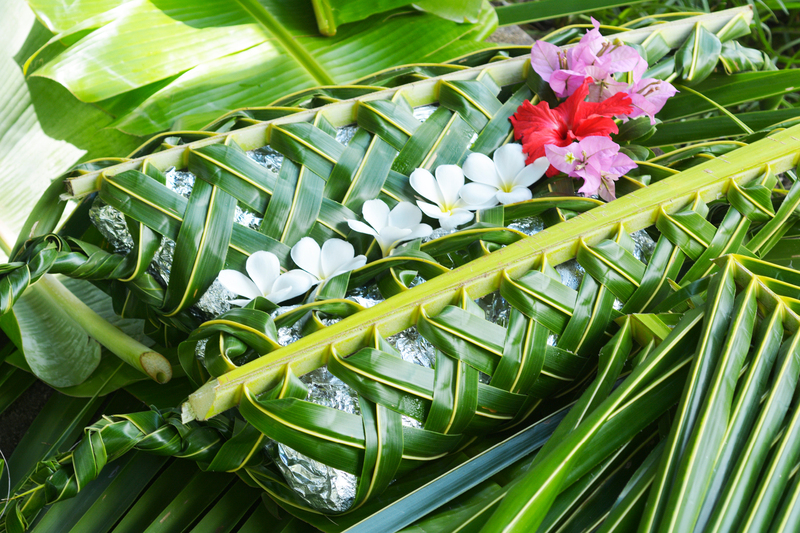 In addition to eating and drinking fresh coconut, Fijians use coconuts as a major ingredient in two iconic dishes: rourou and tavioka. Rourou is a simple and healthy side dish made by marinating taro leaves in coconut, while tavioka is a little bit heavier and consists of banana and vegetable tapioca cooked in coconut cream. While you’re gorging yourself on Fiji’s finest dishes, be sure to keep an eye out for the country’s two most famous vegetables: duruka and sweet potatoes. These two staples have been livening up meals and also helping locals get their 5-a-day serving for years. Duruka is a quirky vegetable that resembles asparagus, while sweet potatoes are orange-coloured members of the – you guessed it – potato family. Similar to New Zealand’s hangi, lovo is a dish prepared by cooking food underground. A central part of communal celebrations such as festivals and weddings, the lovo involves creating an underground oven lined with coconut husks, which are lit on fire before being covered by stones. An assortment of fish, meats, and vegetables are covered in banana leaves and then cooked in the oven. If you love smoky flavours and BBQ’d food, this is definitely the way to go! Finally, after all that chewing, you’re going to need something refreshing to drink and there’s nothing better than kava, Fiji’s national drink. This beverage is prepared by grinding the root of the pepper plant and combining it with water until you have a well-mixed liquid. Kava is consumed on special occasions, mostly when there are group gatherings where everyone bonds. It is considered a great honour to drink kava in Fiji, so keep that in mind if you’re offered the chance. These five foods are just the tip of the Fijian food pyramid of deliciousness, so when travelling to the area, remember to keep an open mind and you’ll find that your stomach won’t stay empty for long! Get in touch with our Fiji Holiday Experts for more information or to book your Fijian holiday!